Lighting. 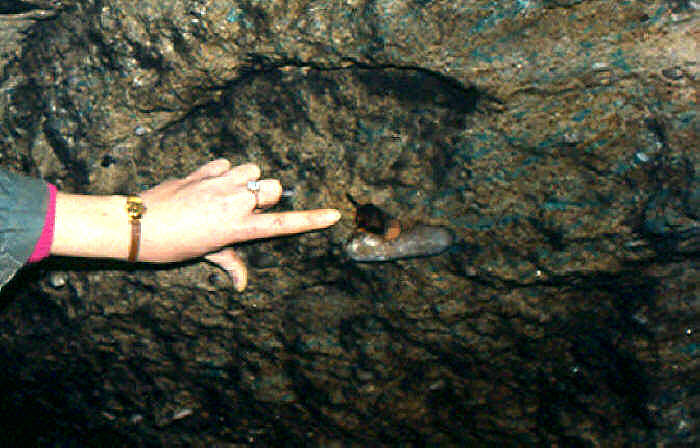 This candle is one of very few that we find left in the mines. Candles were usually bought by the miners and a bundle would be taken into the mine and used as economically as possible. Candles were sometimes attached to the miner's hat but this is not very convenient and it was far more common for the miner to put the candle on a nearby rock or the front of the tub he was pushing. (Left) Loading and pushing tubs. 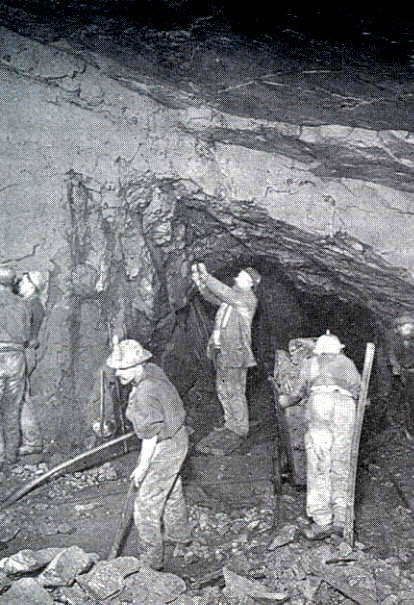 In the picture, two of the miners can be seen to have candles on their hats (hard felt hats) while they load and move ore. The other miners do not have hard hats or candles. In the middle of the picture is a foreman setting a charge with no apparent candle, which is perhaps as well as he was handling gunpowder and fuses. (Below) Underhand stoping. 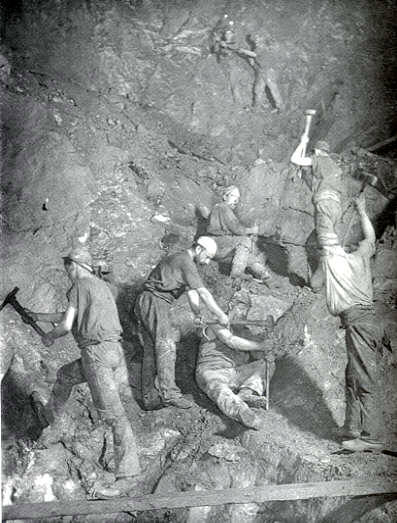 This picture could have been at Alderley as it shows miners digging out the ore from the floor below them. The lighting in this case is left attached to the wall (look above the head of the leftmost miner) rather than on their hats as the candled would probably fall off with the jarring of the hammering.